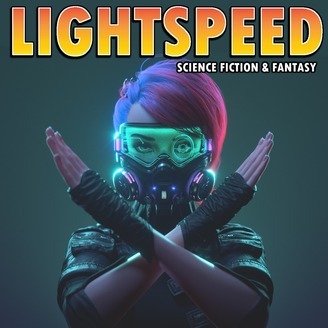 Edited by bestselling anthologist John Joseph Adams, LIGHTSPEED is a Hugo Award-winning, critically-acclaimed digital magazine. In its pages, you'll find science fiction from near-future stories and sociological SF to far-future, star-spanning SF. 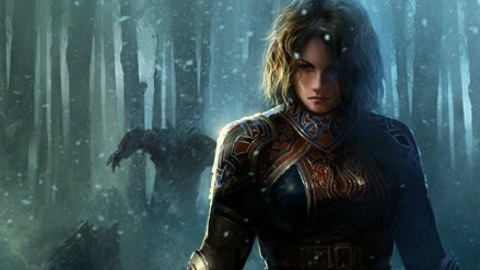 Plus there's fantasy from epic sword-and-sorcery and contemporary urban tales to magical realism, science-fantasy, and folk tales. Each month, LIGHTSPEED brings you a mix of originals and reprints featuring a variety of authors, from the bestsellers and award-winners you already know to the best now voices you haven't heard yet. When you read LIGHTSPEED, you'll see where science fiction and fantasy have come from, where they are now, and where they're going. The LIGHTSPEED podcast, produced by Grammy Award-winning narrator and producer Stefan Rudnicki of Skyboat Media, is presented four times a month, featuring original audio fiction and classic reprints. When Tommy Burke took me out to Gundark Island to see the alien, I wasn’t really expecting much. Maybe I was just going because I thought it would be cool to take a ride in Tommy’s canoe. Or maybe I was just hoping Tommy might turn out to be a friend. If there really was an alien there, too, then all the better. After passing a hand-painted sign that said “Please Don’t Feed the Alien,” we came to a clearing in the middle of the island where I saw a lump in the ground. At first it looked like a small boulder, except that it had a grayish-purple tint to it. Upon closer inspection it vaguely appeared to have scales. | Copyright 2019 by Matthew Corradi. Narrated by Stefan Rudnicki.